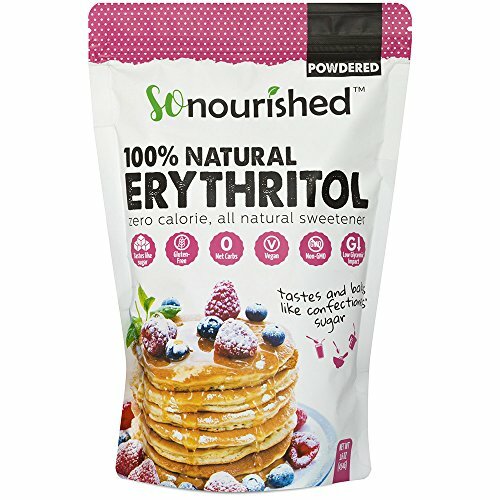 NO BITTER AFTERTASTE – This erythritol is not only healthier than sugar, it also has almost no aftertaste. In a blind taste test you might mistake it for sugar. 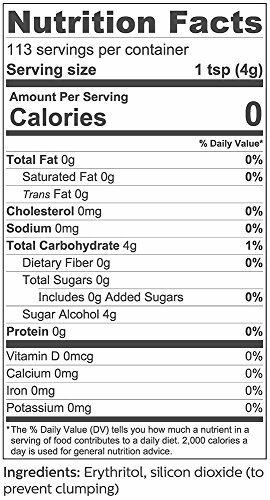 Erythritol is a 0 calorie & 0 carb sweetener used to add sweetness to just about anything! It’s a part of the “sugar alcohol” family, which means it’s derived naturally from fruits and plants and passes through your body, untouched, much like fiber. Because it’s passed through, erythritol does not affect blood sugar in most people and has 0 net carbs. That makes it a great option for diabetics, low carb dieters and anyone looking to cut calories without sacrificing sweetness! 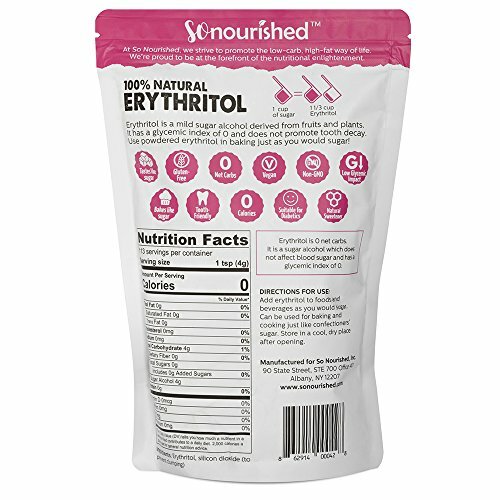 Erythritol is 70% as sweet as sugar and their flavors are very similar. Unlike many sweeteners, there is no bitter or chemical aftertaste. Some people say there is a mild cooling sensation instead. However, while sugar is a 68 on the glycemic index (GI) scale, erythritol is a 0! High glycemic foods cause blood sugar spikes, leading to more fat storage and hunger crashes. Dentists love erythritol. Oral bacteria feed off of sugar but erythritol is shown to prevent plaque buildup, making it quite tooth-friendly! 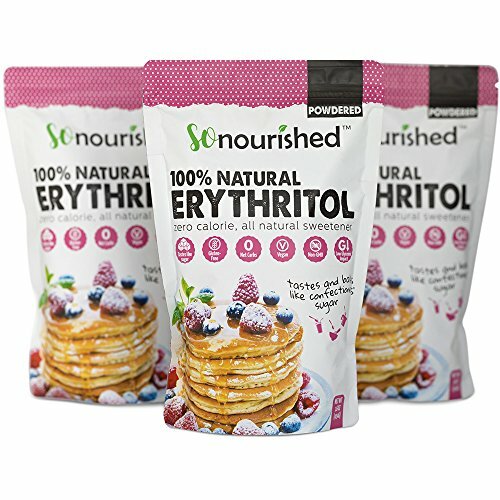 Anyone looking to reduce their sugar intake, lose weight or improve their health can benefit from using erythritol in place of sugar. 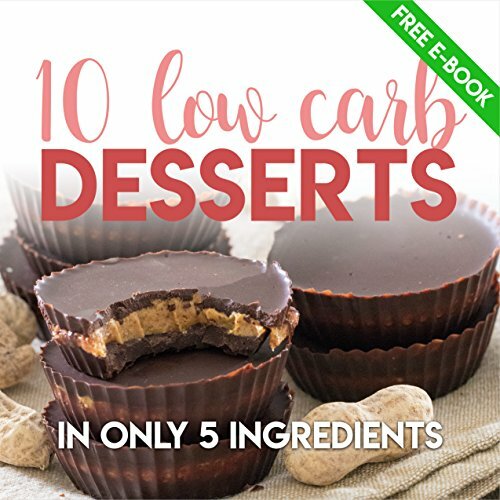 It’s a favorite among low-carb dieters, as well as sugar-free and paleo bakers. 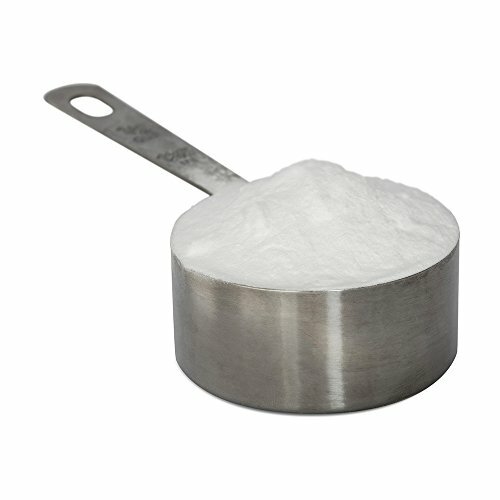 You can use confectioners erythritol just as you would sugar in cooking, baking and sweetening drinks like tea and coffee. 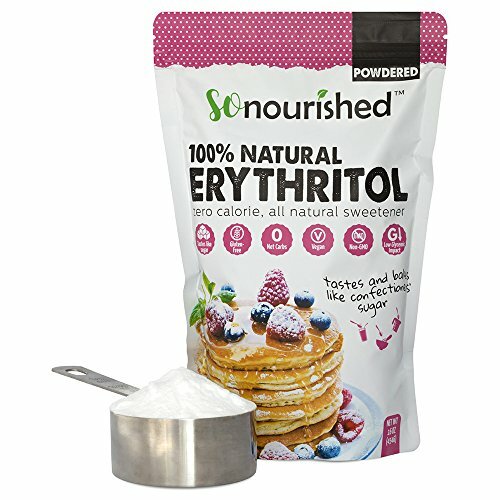 We recommend 1 1/3 cup of powdered erythritol for every 1 cup of powdered sugar found in a recipe. A teaspoon or two in your morning coffee works like a charm. Feel free to play around with the proportions and use erythritol to your specific taste.